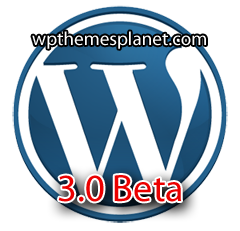 WordPress version 3.0 Beta 1 has been released. This is an early beta which means there are a few things that are being worked on. They are releasing it now rather than waiting another week, because they wanted to get people testing it during this weekend. There’s a lot of new stuff going on in WordPress 3.0, so this time they are giving you a list of things to check out, to make sure people are testing all the things that need it. _The custom menus system (Appearance > Menus) is not quite finished. In Beta 2, the layout will be different and a bunch of the functionality will be improved. You can play with making custom menus, and report bugs if you find them, but this is not how the final screen will look/work, so don’t get attached to it. _WordPress and WordPress MU have merged. This does not mean that you can suddenly start adding a bunch of new blogs from within your regular WordPress Dashboard. If you’re interested in testing the Super Admin stuff associated with multiple sites, you’ll need some simple directions to get started.